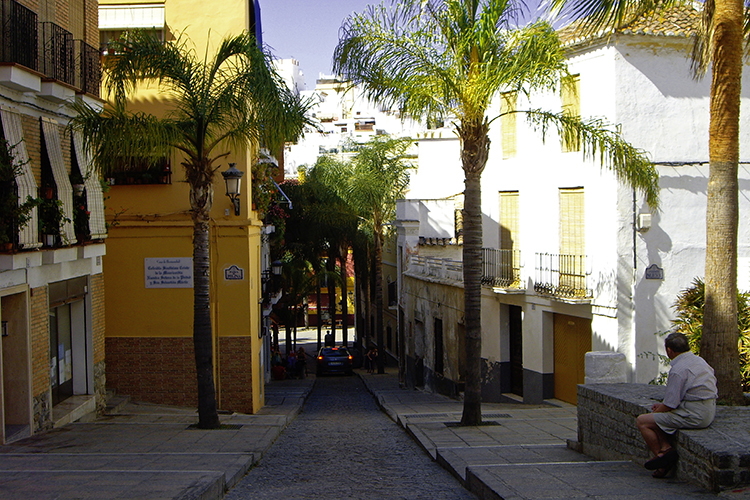 Almuñécar, overlooking the crystal-clear and calm Mediterranean Sea, is considered one of the prettiest and most picturesque spots of the “Tropical Coast of Granada”, – a mountain landscape rolling down to the sea where avocados, custard apples, mangoes, papayas, bananas and guavas grow. This is only possible because of the exceptional temperature of the area, between 18ºC (64ºF) in the winter and 25ºC (77ºF) in the summer. Especially famous is the beauty of its sea floor. 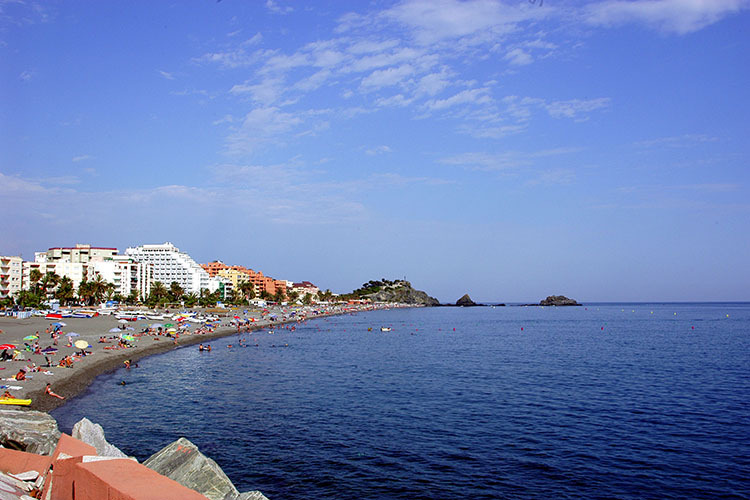 The town is easy to reach, less than one hour’s drive from the cities of Malaga and Granada. The visitor will be impressed by the beauty of the old town, a reminder of past cultures and civilizations: Bronze, Phoenicians, Romans, Arabs and Christians. All these have shaped the image of a warm and welcoming town. From the heart of the old town, the streets lead up to the top of the hill where the white terraces are dominated by San Miguel’s castle. With the development of tourism tradition has adapted to modern times. Visitors will find a wide array of accommodation from where they can enjoy the numerous beaches (26 in total) of the area, many of them placed among rocks and hills.